On October 31, 1517 in Wittenberg, Germany Martin Luther nailed his Ninety-Five These on the Power of Efficacy of Indulgences to the door of the Castle Church. “The theses debated and criticized the Church and the Pope, but concentrated upon the selling of indulgences and doctrinal policies about purgatory, particular judgment, and the authority of the Pope.” (wikipedia) The Catholic Church had become corrupted in many ways and this act of Martin Luther’s, even though not the first attempt at reformation, was the spark that lit the fire that brought about the establishment of the Protestant Church. You might ask why is a schism in the Church something to be celebrated? Should we not welcome unity rather than division? Unity within the Church is a very good thing and is even commanded (Philippians 2:2), but so is separating out the wheat from the tares (Matthew 13). The Church will always need sifting while we are on this earth. Our pews and even pulpits are full of sinners, some saved by grace and some not. Corruption cannot and will not be tolerated within the Body of Christ. We celebrate Reformation Day because it represents the reclaiming of the one true gospel that had been lost in the Catholic church and replaced with the traditions and teachings of men. We celebrate that there were men who were willing to face the wrath and judgment of man rather than violate conscience according to the Holy Spirit and Scripture. We celebrate the boldness to proclaim the truth of God in the face of very real and present danger. We celebrate the movement that placed the Word of God in the hands of believers, to study for themselves so they could be taught by God Himself, rather than having to take the priests word as gospel. We celebrate Reformation Day because it is yet one more testament to the faithfulness of God. Yes, the Reformation did bring division. Separating, even through pain and loss, from a false church with a false gospel and reclaiming the true gospel is a reason to celebrate. Yes, there have been countless splits and denominations flowing from the Reformation, and while we long for unity in the body of Christ, we celebrate the freedom to follow Christ according to Scripture informed conscience and are not forced to do so according to the design and tradition of men who themselves deny the true gospel. The division and war that came from the Reformation was not the desire of the reformers, but of a Church that refused to be informed by Scripture and would not tolerate a question of its legitimacy and power. The reformers were called reformers because they sought reformation in the Catholic church; they did not begin with intention of splitting, but in refining and reviving the Church that was there. The Catholic response was to condemn any questioning of canon law and tradition, refusing to even debate the weight of Scriptural arguments, and declaring everyone who refused to toe the line damned to hell. We celebrate that God raised up such men for such a time as the Reformation; we praise God that He made them faithful at any cost to the gospel that is the power of God for salvation. How Do You Celebrate Reformation Day? Many families, mine included, have chosen to use October 31st as a day to commemorate and celebrate the spark that set the church of God on fire. I love this day. I love playing games that help my children learn and remember important facts about this time in history. I love telling the story of what happened. I love making this day exciting and helpful for my kids. So as I started my preparations for this special day I began to become convicted. I realized that I was using this day simply as a surrogate for Halloween (Read The Four Things Halloween Teaches Our Children). I wanted so badly to make my “celebration” scream louder than the “world’s celebration”. I then knew it was time to do a heart check. I still want to celebrate, but I want to celebrate Reformation day as a Christian. I had to regroup. I began with questions…questions to reveal my motives. What do I want my children to remember and understand about this day? Will this make much of God or much of man? Does this preach the Gospel to my children? Am I feeding their souls or their entertainment-driven lusts? I want my children to see in this day the same things I hope to show them in each day…The Gospel. I want them to know that God is at work in His Church and in this world that He made. I want my kids to see the Holy Spirit working through Martin Luther. I don’t want this day to be turned into hero worship of Martin Luther. Luther himself said, “Who is Luther? The doctrine is not mine. I have been crucified for no one”. With my newly sanctified (and ever-needing sanctification) priorities in mind I am now planning accordingly. Here is a brief run-down of what I have planned thus far. A list of materials and directions for each activity are provided at the end. Reading a biography about Martin Luther. This may seem odd after previously stating my desire to steer away from hero-worship. But, my goal in reading this biography is to show my children a “real-life” story about God’s ability to use a common, sinful man to bring about sanctification in His church and in the world. We are tools in the Master’s hands and Martin Luther is prime example of God’s hammer busting down the walls of self-reliance and self-worship. Nailing the theses on the door. Taking the time to read through SOME of the theses with my children and point out Luther’s desire to base our practices on Scripture alone and how we too should share that desire and zeal for ensuring Scriptures importance in our practices. Discussing/Memorizing the 5 solas. This will most likely be what we do as a family for our evening family worship time. Taking each of these solas and discussing the importance and meaning of each. Pin the beard on the theologian. I must be honest, this activity is simply for fun! Coloring the Luther rose and discussing the symbolizing of each color. Printing press activity. This activity has a two-fold purpose. One to show Gods grace in using this time and these men and their gifts and talents to invent a press that would allow His Word to go out in a form from which His people could read and learn. Two, to learn about the history of the printed word and how Gutenberg’s printing press worked during the time of the Reformation. When Lightening Struck by Danika Cooley. We read this last October and loved it! Read my full review HERE. Directions: Print the list of 95 theses (I burned the edges of the papers and run leftover coffee on the edges to make the paper look tattered and worn), roll tape and place on back of paper, then allow the children to “hammer” the theses to a door. 5.) “Soli Deo Gloria” (To God Alone Be Glory: 1Peter 4:11). Learn more about The 5 Solas with our brand new 7 Day Family Bible Study! CLICK HERE to learn more! Directions: Write each Sola on a card the write the Scriptures to support each Sola on the back. Then during family worship time discuss the Scriptures and practice saying the Solas together as a family. Be sure to sing that day “A Mighty Fortress is our God” written by Martin Luther. Directions: Print coloring sheet HERE. Assign the appropriate color for each section and explain the significance as they color each section. Directions: Apply glue dots to the back of form letters (you can make any message you like), stick letters to the wooden board, sponge paint/ink on letters, press paper onto letters, lift gently to reveal message. Want to learn more about Gutenberg and his printing press? CLICK HERE. Now It Is YOUR TURN: Do you celebrate Reformation Day or Halloween? How Do You Celebrate Reformation Day in your Home? These crafts were compiled by my friend Jessica. Jessica is a wife to an amazing husband, Matt, and has been blessed to be the mother of three precious children. She has been bought with a great price and tries to live each day in light of Christ’s great sacrifice. 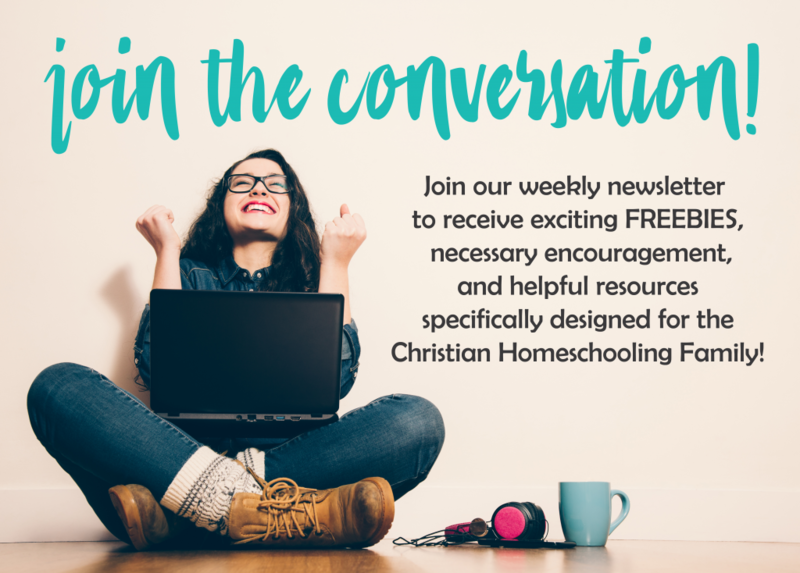 She is a FULL-FILLED full-time help-meet, homeschooling mom and home-maker. Her heart’s desire is to see her children redeemed by God and to send them out as arrows into this world, piercing the darkness of this generation and those to come. She sees Titus 2 as a great gift and ministerial call to both pour into other women, and to be poured into by other women, as they journey together to be the Christ-centered wives and mothers that God has called them to be. Some other graces she enjoys in life are a good book, good pizza, good thrift store finds, and a good football season! Thank you for this! We have been on the fence about Halloween and due to some recent heart-checking and a bad experience for my son, we’re dropping it. I have heard a bit about celebrating Reformation Day and this is a very helpful post. I am still a little hung up on wanting to find something else to do with our family that night that is God-centered, edifying, and that my kids will WANT to be involved in more than Halloween. I understand what you said about not wanting it to be about feeding their desire for entertainment, but I once heard a veteran homeschool mom say that she purposed to create a family culture where her kids wanted to stay home for holidays because it was so fun! They were the house that everyone wanted to go to and so there were less issues with their kids feeling like they were missing out on a fun time with their friends. They also used those home events as ministry opportunities. This makes sense to me, but I’d love to hear your thoughts on it! Your site was helpful in planning our observance of Reformation day. One thing extra we did was to take a pie pumpkin, cut it open, clean it out, etc. using this as an illustration of how the church needed to be “cleaned up” or reformed so that the true gospel would be known ( using a a candle in the pumpkin with a fish and cross cut out). I found a great video online which used this illustration to represent a Christian. The kids like videos! So we talked about it in relation to the church of that time, but also personalized it for our own walk with The Lord. We cooked a pumpkin desert–to illustrate that something sweet comes from allowing God to cleanse us and put His Spirit (the candle in the pumpkin) inside of us. Thank you for your well thought out article on What Halloween teaches kids and this article on Reformation Day. Both are much needed especially in the church. I only wish I had this information in 2000 when we stopped celebrating with our kids and insisted they not participate. It would have made the transition much smoother. My suggestion for you is to re-post this every October to reach as many as possible with the truth. I just purchased your booklet “The 5 SOLA’s” and I am amazed! Beautiful and thoughtful activities. I am actually going to print two copies and work on this with my daughter. I homeschool her, and I love the depth and simplicity of this study. Looking forward to it!